Most—but not all—antidepressants tend to suppress and/or delay REM sleep (the stage associated with dreaming). This can be helpful for people with depression. It’s not necessarily helpful for people with insomnia. In fact, REM sleep irregularities may be a causal factor in insomnia. So it pays to know a bit more about antidepressants if you’re taking them now or before you head down that path. Antidepressants are the third most commonly taken medication in the United States today, prescribed for depression and health problems such as insomnia, pain, anxiety, headaches, and digestive disorders. Most—but not all—antidepressants tend to suppress and/or delay REM sleep (the stage associated with dreaming). This can help people with depression. It’s not necessarily helpful for people with insomnia—or for people who might be inclined to sleep problems if pushed in the wrong direction. There’s mounting evidence that REM sleep irregularities may actually be a causal factor in insomnia. So it’s worthwhile knowing about the REM and other sleep effects of antidepressants if you’re taking them now or before you head down that path. Intact, sufficient REM sleep has many benefits. They include the enhancement and consolidation of learned tasks and skills in long-term memory and the regulation of emotion. Fragmented REM sleep, in contrast, may lead to the inadequate processing of emotion and then to hyperarousal, in turn giving rise to insomnia. Loss of the final REM period, a phenomenon identified in some “short sleepers” (often defined as those who sleep less than 5 hours a night), may increase your appetite and make you more vulnerable to weight gain and obesity. In short, reduced or compromised REM sleep is not something you generally want. SSRIs are widely prescribed because they’re effective for depression and have relatively few major side effects. But as a class, they tend to suppress REM sleep. (They may also bring about changes in the frequency, intensity, and content of your dreams.) They also tend to delay the onset of sleep and increase awakenings and arousals at night, reducing sleep efficiency. 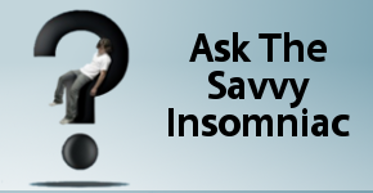 If you have both depression and insomnia, it’s probably best to steer clear of SSRIs. But here’s a caveat. SSRIs and other drugs that act on the serotonin system (which is very complex) are known to have different sleep–wake effects on different people. Trying out a drug like fluoxetine (Prozac) may be the only way to ascertain for sure how it will affect your sleep. The story is basically the same for serotonin and norepinephrine reuptake inhibitors (SNRIs). Drugs such as duloxetine (Cymbalta) and venlafaxine (Effexor XR) markedly suppress REM sleep and tend to disrupt sleep continuity. TCAs aren’t prescribed as often as SSRIs because they tend to cause more side effects. However, like SSRIs, most TCAs (except trimipramine) markedly suppress REM sleep. Also, TCAs like desipramine and protriptyline give rise to increased norepinephrine, which tends to promote wakefulness rather than sleep. In studies of desipramine, the drug degraded the sleep of people with depression by extending sleep onset latency, decreasing sleep efficiency, and increasing their number of awakenings at night. Most TCAs are not sleep friendly. However, low-dose amitriptyline is known to have sedative effects and is sometimes prescribed for people with depression and insomnia. Low-dose doxepin has been shown to have sedative effects as well, blocking secretion of histamine, a neurotransmitter associated with wakefulness. Sold today as Silenor, it’s the only antidepressant approved by the FDA for the treatment of insomnia. Clinical trials suggest that Silenor is effective in treating sleep maintenance insomnia but not insomnia that occurs at the beginning of the night. Some antidepressants are atypical in that they don’t fit neatly into any category. Although not approved for the treatment of insomnia (the requisite trials were never conducted), low-dose trazodone (Desyrel) and mirtazapine (Remeron) are often prescribed for people with insomnia because of their sedative effects. Unlike most antidepressants, these drugs have not been found to markedly suppress REM sleep. And the results of a very few studies suggest that they may help people fall asleep more quickly and sleep more deeply. If you’re taking an antidepressant now (for whatever reason) and you think it may be interfering with your sleep, talk about it with your doctor. And if you’re having sleep problems and considering an antidepressant, be selective about the one you use. Thank you for all of this great information b/c I am, and have been on the merry-go-round of anxiety, insomnia, mild depression, restless leg for years. Finding a doctor is more difficult than I expected. I believe they often have their own “agendas” and strings to which they are attached. I’m taking the time now to learn as much as I can and “cool-it” but I’m still looking for a doctor who truly understands the biochemistry of these drugs and has a great deal of practical experience with patients. Yes, finding a doctor with in-depth knowledge of mind meds and lots of clinical experience can be a challenge. Especially when you’ve got several health issues to deal with. One thing to consider as you’re looking for the right health care professional is that some Pharm.D’s know a lot about drugs used to treat mood and other psychiatric disorders. I volunteer with an organization called the National Alliance on Mental Illness (NAMI) in the town where I live, and I’m told that there are a couple of people working as pharmacists who are extremely knowledgeable about mind meds. They wouldn’t have the kind of clinical background you’re looking for in a doctor, but they might be able to provide at least some of what you’re looking for. Good luck in finding a doctor or doctors who are right for you. And thanks for writing in! Find a sleep doctor. Have you been to a sleep clinic? If your insurance requires a referral, ask for one. 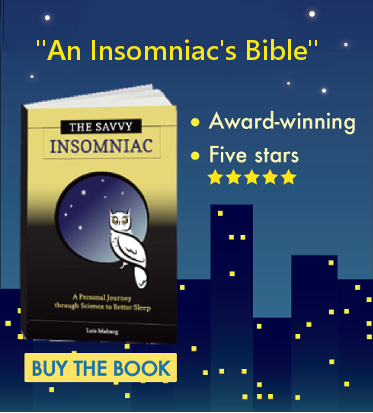 I had insomnia for years, started out of the blue after having felt sleepiness or unrefreshing sleep prior to that. After two years of sleep deprivation, I started developing nerve problems like restless legs and sleep starts (jerking awake). Finally a smart NP at a neurology clinic zoned in on sleep breathing disorder that may be causing my vivid fragmented dreams. She was right. Soon after, I was diagnosed with sleep apnea (primarily while sleeping on my back) and I’m now on cpap. Takes awhile to adjust to the machine but my sleep is improving and other symptoms are disappearing. Anyway, rather than suffering any longer and taking pills, get a sleep study. Sylvia, Thank you; I should have a sleep study but I have avoided it for about 14 years now b/c I saw a “sleep specialist” and she didn’t suggest it. I know, from having worked at the hospital where she was on staff (it closed some time ago) that she is/was not a nice person. I’m not sure why I trusted she would give me the best medical advice. I’ve dealt with anxiety related insomnia since I was very young. No abuse type trauma but my Father died from a heart attack right in front of us when I was just old enough for it cause a great deal of fear and seems to have affected my predisposed brain (based on family history of anxiety, depression, pain) to always bring me back to where I am . I’ve had many years of therapy, I am a huge proponent of therapy, but overcoming the fear is an active pursuit even if it involves meditation, etc. and by the time I was 40, under work and marriage stress, I just wanted a passive remedy and I started Ambien. A very nice, very sympathetic pain specialist (MD) prescribed it for me. I’ve been taking Ambien for about 15 years now. He died some years ago. I can’t blame him. I’ve always had hormonal imbalances and I seem to be going through a protracted peri-menopause and I live with my Mother who is well into her 90s. I love her. She’s fantastic but all around my life is not normal; it’s a stew of my own making. Again, I don’t trust doctors for a while now so I am dealing with my own prejudicial thinking. A recent experience hasn’t helped me overcome this. Your advice is good so I’m going to call a sleep center at a hospital near me. At the very least, they may have better insight into my brain chemistry than a regular MD or psychiatrist. I Thank You and Lois Maharg for this column and if you or anyone else has read this, Thx. I started taking Cymbalta three days ago. The first evening I took it before bedtime because I was told it might make me drowsy. I did go to sleep, but I was wide awake at 2 o’clock. There was no way I could get back to sleep, so I got up. The next day, I took the medicine at about 10 o’clock in the morning. Again, I was wide-awake at 2 o’clock in the morning. I did manage to get a couple more hours of sleep. So today, which would be the third day to take Cymbalta 20 mg, I choose not to take it. Has anyone else experienced this type of side effect? Q&A: Will Regular Rest Curb Sleep Anxiety?